Jalandhar: The School of Bioengineering and Biosciences at Lovely Professional University is organizing 2-day Global Conference ‘ISSWM (Innovative Strategies for Sustainable Water Management)-2017’ in collaboration with the department of Bio-resources Engineering, McGill University, Canada, at LPU Campus. More than 200 scientists, researchers and professors, from across the world gathered at the campus to recommend effective solutions for utilizing contaminated and polluted-water as potable and in cleaner ways. Researchers are from countries including Canada, USA, Germany, New Zealand, Bulgaria, Lithuania, Argentina and others. During this conference, selected 150 + international research papers are to be presented, discussed and deliberated upon. Conference is witnessing scientists & researchers from high-ranked foreign universities & institutions including McGill, Lake-head, British Columbia, University of Guelph, University of Victoria, (Canada); Iowa State University (USA); Springer Heidelberg (Germany); Massey University (New Zealand); Faculty of Civil and Environmental Engineering, Haifa (Israel); University of Bulgaria; National University of Argentina; University of South Africa (Johannesburg); and, many national institutions, all of whom have expertise in related fields. LPU Vice-Chancellor Prof Dr Ramesh Kanwar recommended: “Next World-war can be on Water: Let us all work together to bring out the effective solution”. Senior Scientist at Department of Biotechnology, Ministry of Science & Technology (Govt. of India) Dr Rajesh Kapur inaugurated the conference. 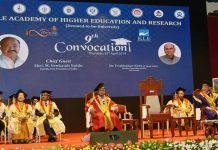 Appreciating the quality of education and research endeavours at LPU, Dr Kapur laid stress on establishment of multi-faculty institutions, as LPU is, for properly understanding integration in science and to work properly for bringing efficient solutions to such problems. Explaining the waste water in its three forms-physical, chemical and biological, he touched the last aspect and suggested research and development works to split multiple carbon into simple carbon. Mentioning conference as much thought provoking, Guest of Honour, Commissioner-Jalandhar Municipal Corporation- Dr Basant Garg (IAS) invoked students and scientists to take present day water crisis as a serious opportunity to churn out better and befitting solutions against it. Taking the example of his country, Prof. Arvydas Povilaitis of Aleksandras Stulginskis University, Lithuania, forwarded that European Union has water-policy and aims at good ecological and chemical quality status for all waters-Surface, Underground & Coastal. He suggested about tiles drained agricultural land as in his country, having denitrifying bio-reactors as the most promising technology. 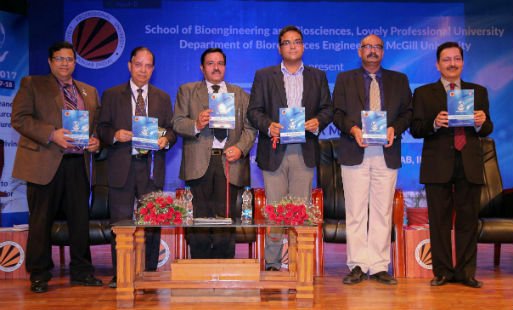 Researchers at LPU including Vice Chancellor Dr Ramesh Kanwar, Prof Dr Neeta Raj and Research Student Deepika Bhatia took the topic ‘Bio-decolourisation of disperse dyes by using naturally occurring bacteria’. They put forward that presence of residues of textile dyes in natural water systems has caused significant damage to fragile ecosystems around textile industries. Therefore, a study was conducted to collect locally occurring bacteria from a stream receiving the textile industry waste water in the city of Ludhiana, India. From a total of hundreds of bacteria present in the waste water, seven strains of bacteria were isolated which had the potential to remove dye contaminants from the polluted water. The overall result of this study shows clearly that naturally occurring bacteria in waste water bodies can be used to develop economically viable bio-filters to remove textile industry pollutants. This can improve the ecological conditions of polluted rivers and create healthy environmental conditions for marine life. In fact, water is the most essential part of all living species on this planet. However, surface and ground water resources are being contaminated from industrial, agricultural, and municipal wastes. Worldwide, billions of people lack access to safe potable water and many have absolute water scarcity. As being speculated, only a less percent of the globally produced waste water is being presently reclaimed. As such, ISSWM-2017 is proving as a wider platform for researchers, academicians, industrial personnel, entrepreneurs, NGOs and policy makers across the globe to share their research findings, ideas, experiences, and success stories on the development of sustainable, efficient, cost effective and robust technologies to see water from source of pollution to point of use.